I visited Nozawa Onsen directly after my trip to Shiga Kogen, and was surprised to find that here in March, there were much fewer travellers from overseas than in the peak season, another sign that springtime skiing has yet to gain in popularity. 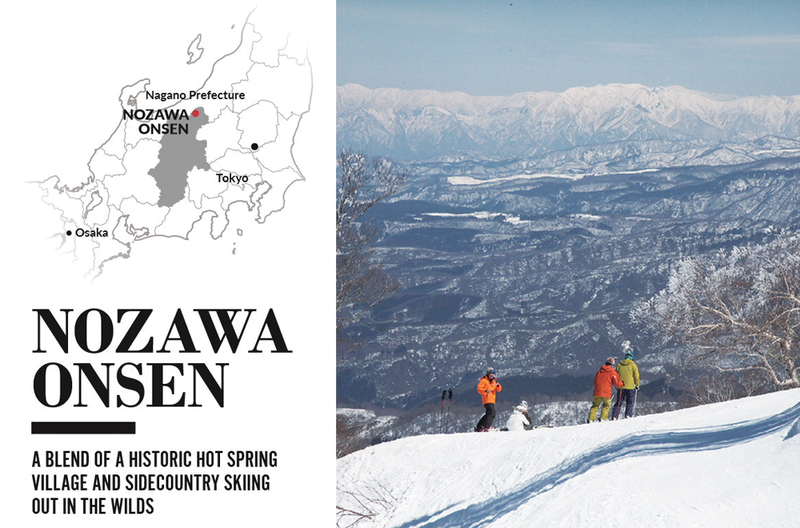 The Nozawa Onsen skiing area is an expansive one that feels like a mountain in and of itself whose average elevation exceeds 1,000m, reached by taking a long gondola from the foothills. The Yamabiko area there at the topmost reaches changes dramatically in the spring. THE SIDECOUNTRY AREAS THAT YOU CAN ENTER HERE AT THE YAMABIKO AREA ARE POPULAR FOR ALLOWING SKIERS TO ENJOY TREE RUNS OVER POWDER SNOW. 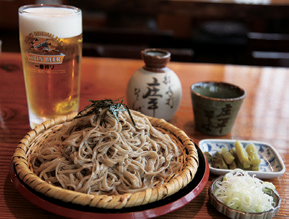 From the peaks of the mountains, the Yamabiko area breaks out into three main courses. In between those courses, however, is a sidecountry area that skiers can enter at their own risk. In Japan, entering sidecountry areas such as these is generally prohibited out of concern for safety, but some skiing areas have recently begun to open these areas up in response to demand. 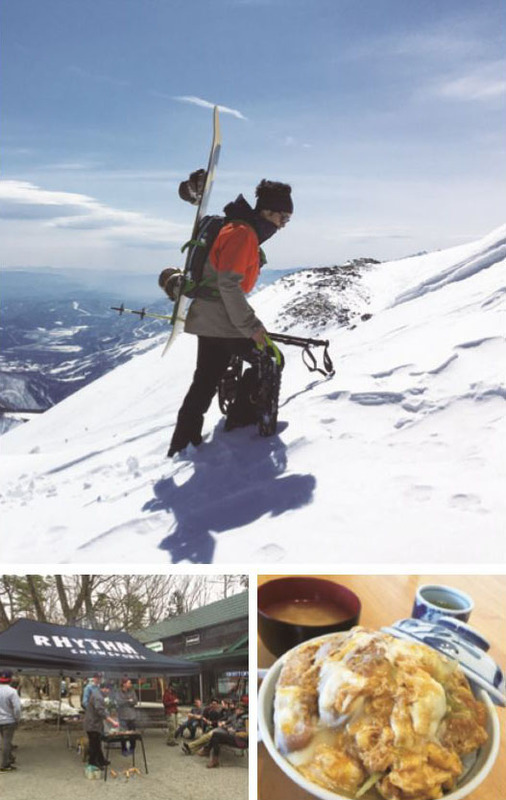 Most tend not to stray too deep, but the sidecountry areas that you can enter here at the Yamabiko area are popular for allowing skiers to enjoy tree runs over powder snow on a scale available in true backcountry areas. That course, however, changes completely with the spring. Nozawa Onsen is an area known for its heavy snowfall, so it comes as no surprise that there are heavy snows even in the spring, and the high elevation of the Yamabiko area allows the groomed barn here to retain a consistency that is perfect for carving while the sidecountry areas are covered in corn snow typical of the springtime. The amount of snow does gradually fall in comparison to the harsher winter months, however, as the days grow warmer they unveil the natural formation of the wilderness around. The Yamabiko area is normally well known for its natural half pipes and kickers that make for an exciting course, but the receding snows that uncover the wilds beneath bring an added layer of strategy to the slopes. Gliding down the slopes across this ever-changing terrain amidst the warm weather, the rustling sound of the wind through the trees greets you as you come to rest. It is here, in this wonderful oneness with nature, that Nozawa Onsen shines. 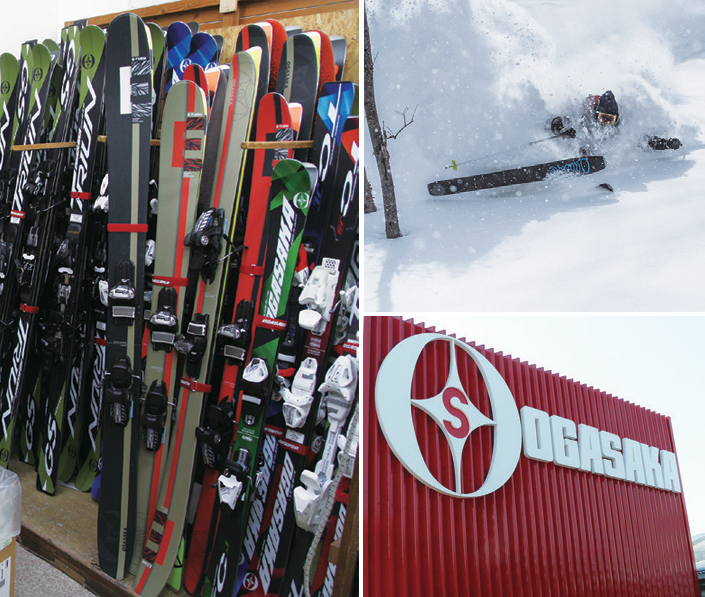 The village of Nozawa itself is beginning to evolve as new stores open to meet the boom in popularity among overseas skiers. One example is a new brewery that has opened up in front of the large outdoor bath that is one of the symbols of this hot spring village. 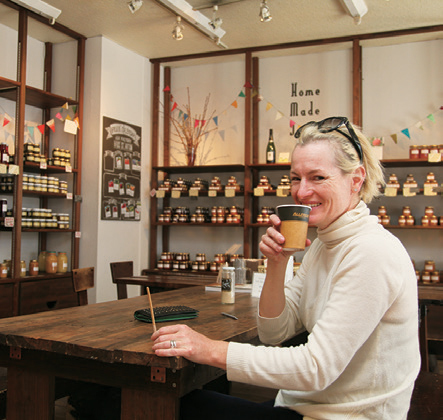 Another gift shop in the center of the town has turned into a café that uses coffee beans and equipment popular in New Zealand and Australia to serve authentic espresso coffee. When I visited, there was a customer from Melbourne who was sitting down to a cup. The older soba noodle and other shops are also still alive and well. This jumble of eastern and western cultures in the midst of an old hot spring village is one of the reasons that gives the area its charm, and is sure to secure its place as a hotspot in the springtime for those that come to learn of its appeal. THE OPTION OF A SPRING VISIT IS, THEREFORE, AN ATTRACTIVE ALTERNATIVE WITH ITS WARMER, MORE STABLE CLIMATE. There is a period known as Golden Week in Japan, a time of the year in early May where several public holidays are grouped together and usher the country into an extended holiday period. It is at this time that many skiers and snowboarders head for Shiga Kogen in search of their last chance to enjoy the skiing season. Because early May heralds the end of spring and the start of summer, it may seem an odd time for skiing, but the overall elevation of Shiga Kogen, characterized by peaks such as the Yokoteyama and Shibutouge skiing area that offer the highest elevation of any skiing area in Japan with standard lifts, grants it snow even in these warm months. And if you can go skiing even at this time of year, it’s no leap of faith to believe that the conditions of March and April in spring are easily a match for the cold of winter. So it was to Shiga Kogen that I headed in search of these wonderful conditions after my helicopter skiing adventure at Hakuba. 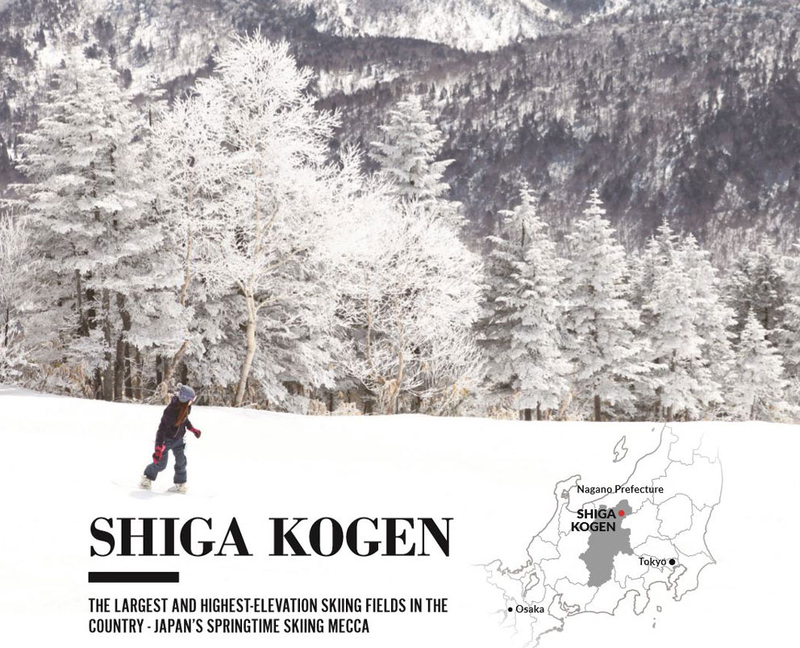 Shiga Kogen is a combined body of 19 previously separate skiing areas and the largest skiing resort in Japan with 52 lifts and gondolas that you can access all via a single ski lift pass. Some areas cannot be reached by skiing in between them, but for those there is a shuttle bus that connects all skiing areas and allows you to enjoy the full range on offer. Needless to say, taking full advantage of such a wide range of skiing areas demands its fair investment in time. In terms of timing, however, the mountains here are deep, and with the majority of skiing areas reaching an average elevation of over 1,500m, the weather is often quite unpredictable and cold in the winter. The option of a spring visit is, therefore, an attractive alternative with its warmer, more stable climate. A trip of some 40 minutes along the road from the foothills of the mountains up to Shiga Kogen first brings you in contact with the Maruike, Sun Valley, and Hasuike skiing areas. From here to Okushiga Kogen at the very heart of Shiga Kogen, you can travel through the 15 skiing areas in between via the skiing fields themselves. Sun Valley and Hasuike are comparatively easy courses, but the Giant skiing area that continues on from there is a challenge even for experienced skiers, and is known as a famous barn. 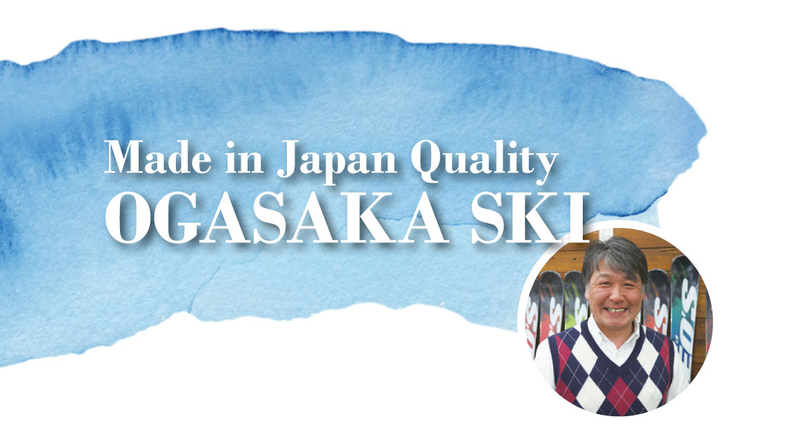 The areas characteristic of central Shiga Kogen such as Ichinose and Takamagahara offer steep slopes for more experienced skiers near the top and comparatively easy slopes near the bottom, offering a layout that is incredibly well balanced. It was through these courses that I made my way without issue as I headed for the Terakoya skiing area known for its springtime conditions. Of the skiing areas in Shiga Kogen, Terakoya in particular boasts a reputation for excellent powder snow, and there was still a frost in the trees even amidst the soft sunlight of spring. Arriving at Terakoya in the midst of this beautiful scenery, I was further greeted by wonderful conditions out on the slopes where skiers and snowboarders hit the well-packed snow in little more than a parker. Now this is what it’s like to ski in spring! The foothills of Terakoya offer a terrace space where you can enjoy a meal, sitting back for lunch and enjoying the outdoors. 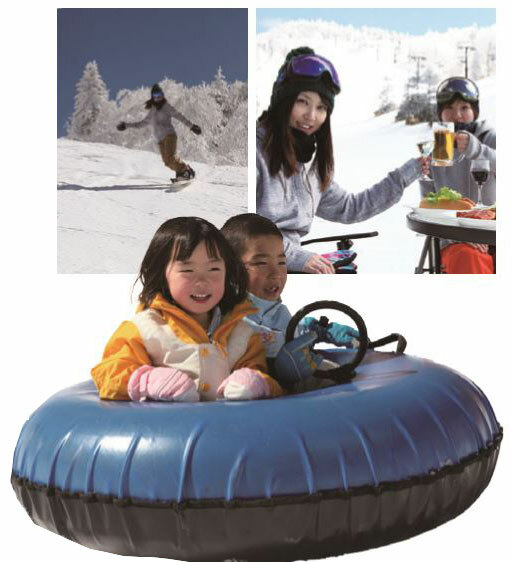 The Higashitateyama Ski Area is another popular spot that boasts the longest runs of all the skiing areas in Shiga Kogen, and a variety of courses ranging from to gentle to steeper slopes and mogul slopes. This is one spot you can’t afford to miss! After enjoying the central areas, I decided to make for the Okushiga Kogen skiing area known for its good springtime conditions. I passed through several other skiing areas along the way, each of the courses I traversed offering its own attraction and making for a good journey. Here in the sun, each slope you hit is different, and each slope is good. The Diamond skiing area I passed along the way with its kids area complete with conveyer belt was popular with families, as were the sleds at the separated skiing areas at the foothills of Mount Yakebitai that I passed further on, the look of happiness on the children’s faces a reminder of Shiga Kogen’s family-friendly side. 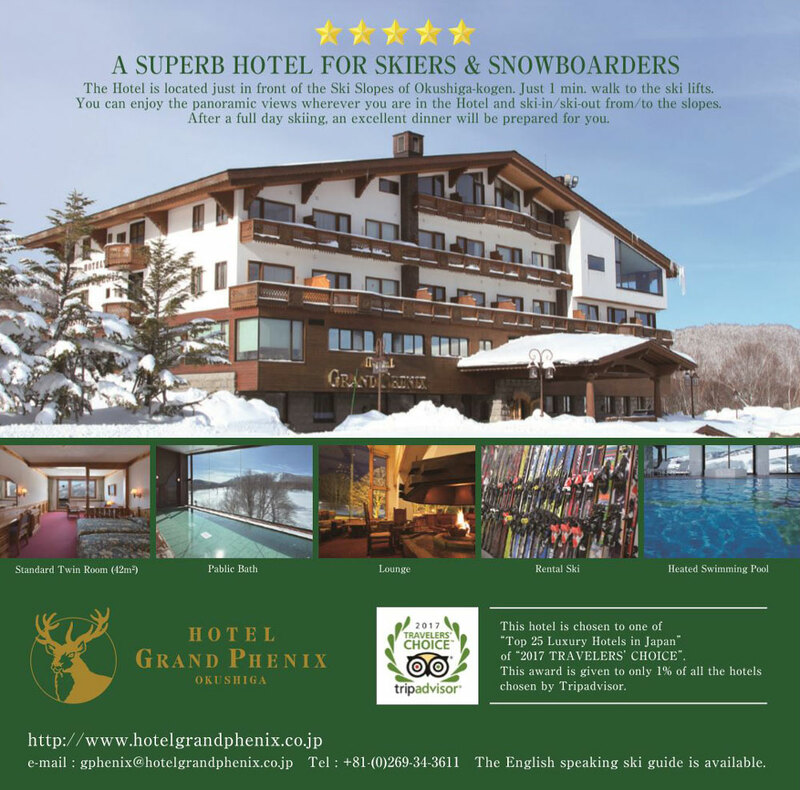 The Okushiga Kogen Hotel, at the foothills of the skiing fields, is a highly refined western-style accommodation. Its mascot, a St. Bernard kept on site who is loved by all who come to visit, and, it is said, can even go out for walks on snow shoes. 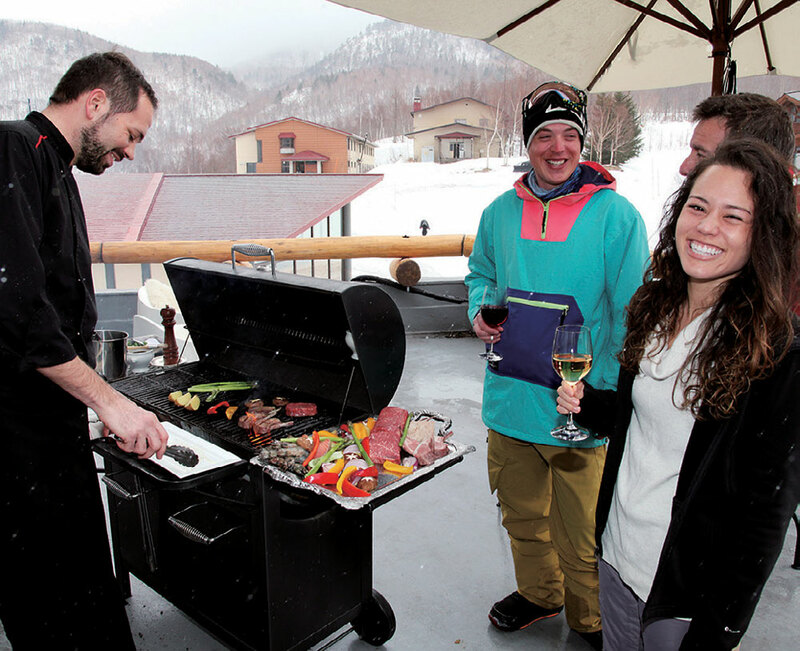 The hotel also offers the opportunity for an outdoor BBQ, making a stay here a popular option. Shiga Kogen is also home to the famous Sugiyama Ski & Snowsports School, which incorporates methods from the home of skiing itself – Austria. All you need do to take a lesson is turn up and make your presence known.